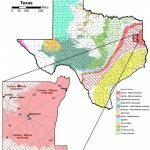 When considering an operating permit, Rusk County Groundwater Conservation District (RCGCD) considers both the amount of acres legally assigned to the well site and spacing requirements. The gallons per minute (gpm) that a well produces plays a part in determining both the spacing setbacks and minimum acreage needed. The applicant must also legally control the water rights. Wells in use before 2014 are not required to meet current acreage or spacing requirements, as long as the well remains unaltered. Is the application under 200 a-ft/year? If so, the General Manager may approve without the application going before the board. Does the proposed permit qualify as beneficial use? Is the application administratively complete? Have the appropriate hydrogeologic studies been completed? 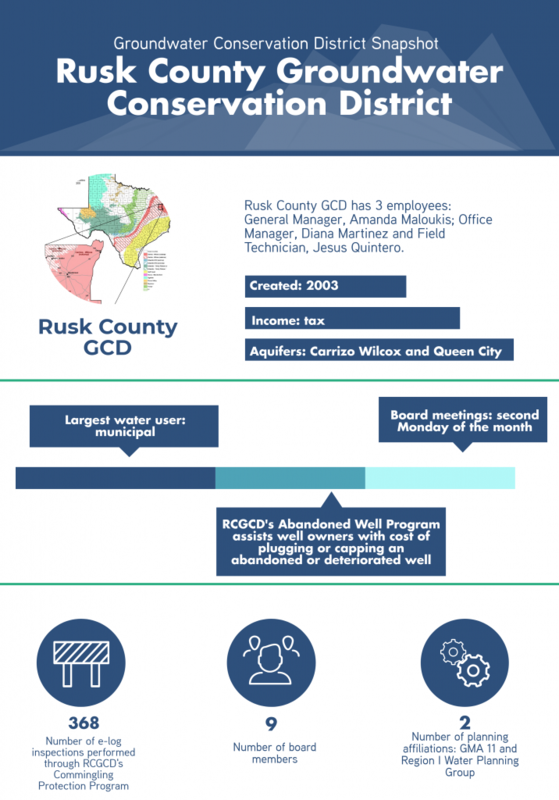 RCGCD has two strategies for addressing abandoned wells: a Commingling Prevention Program and an Abandoned Well Program. The district’s Commingling Prevention Program was developed in 2008 and is addressed in district rule 9.2.5. At the time of its creation, many water wells used in oil and gas operations were being abandoned once the rig left the site. Rule 9.2.5, which was developed with guidance from the Texas Department of Licensing and Regulation, requires that any water supply well used in oil and gas operations shall be plugged within 180 days after operations are complete, or it must undergo a district inspection. District inspection consists of documenting the surface conditions, measurements, location and other physical characteristics of the well. A downhole camera is then used to identify structural integrity of the well or any oddities. Finally, the e-log or electric wireline tool is passed down the well to ascertain the geology of the well and to show the casing depth, intervals, screen, etc. 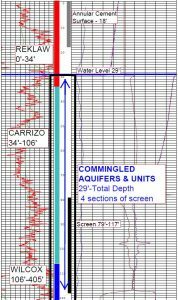 The e-log allows RCGCD to evaluate the well and compare it to the driller’s log to identify if the well is commingling different water qualities in the borehole annulus. If commingling is found that cannot be repaired, the well is then required to be properly plugged. Through their Abandoned Well Program, RCGCD locates, documents and registers abandoned wells. District staff assesses the physical condition of the well, water quality risks and safety risks. The program encourages well owners to be proactive in plugging abandoned and deteriorated wells through a combination of reimbursement incentives and options to receive plugging materials. RCGCD may contribute up to 50% of the cost to plug or cap a well, with a maximum contribution of $300. 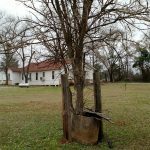 A majority of the wells plugged have been large-diameter wells or hand-dug wells constructed prior to the 1960’s. Additionally, 669 wells have been plugged in the district through District Rule 9.2.5. Visit RCGCD’s website for more information rcgcd.org.